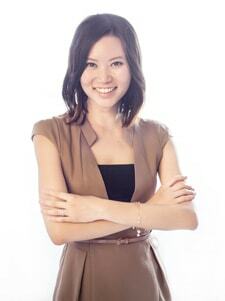 JOAN YONG is a senior consultant at Emerge Consulting with 10 years of management consulting experience. In recent years, she has been a key leader of practice development at the firm,particularly in the areas of customer insights and customer advocacy and loyalty. Her expertise also covers areas such as organisation climate surveys, business excellence frameworks, customer experience design, and mission and vision review. She is passionate about helping businesses across industries to truly understand their customers, and to build great customer experiences. The clients she has worked with include Prudential Assurance Company Singapore, Wildlife Reserves Singapore, United Overseas Bank, Republic Polytechnic, Professional Engineers Board, Singapore Sports Council, Supreme Court Singapore, Infocomm Development Authority, Health Promotion Board, City Gas, Far East Organisation, Triumph International, CPG Corporation, and the Civil Aviation Authority of Singapore. In this book, Joan contributes the keen observations and insights about customer experience that she has garnered over the years.